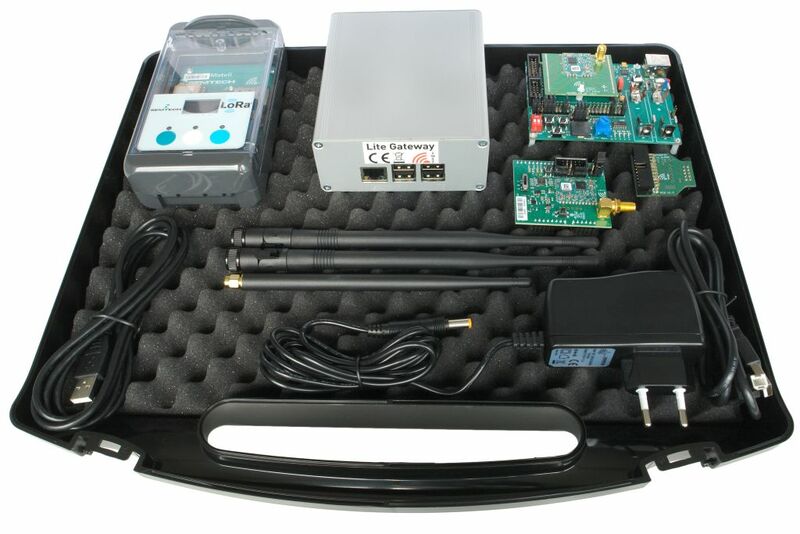 Product information "IoT DevKit for LoRa® 868 MHz"
The 'IoT DevKit for LoRa®' contains a Lite Gateway, a Mote II, an iM880B-L on a demo board and an Arduino Shield Unit. With those units you can easily setup your own LoRaWAN™ network. With the 'IoT DevKit for LoRa®' you can easily build up your own end-to-end LoRaWAN™ application. One of the product pictures show the message flow of LoRaWAN™ packets. The packets generated by a LoRaWAN™ end device are received by the Lite Gateway, and are forwarded to the Loriot LoRaWAN™ network server. You can choose other LoRaWAN™ network server like TTN, as well. 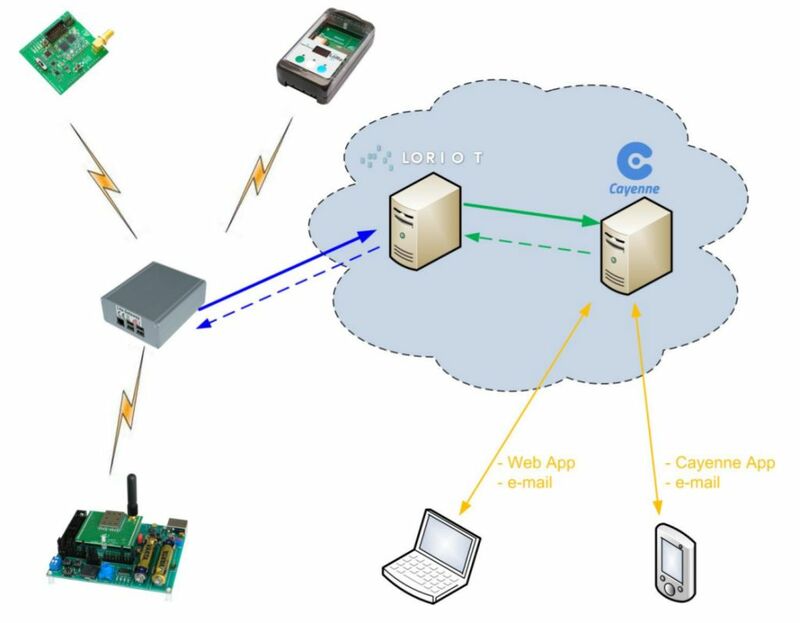 From there, the information is sent to the myDevices / Cayenne server, where the user can control his IoT application. Hint: The free-of-charge Loriot account does not allow downlink messages. Please contact Loriot for further details. Related links to "IoT DevKit for LoRa® 868 MHz"
Customer evaluation for "IoT DevKit for LoRa® 868 MHz"